Yeyuno's Club, 07 Sep 2010190 x 120 x 12 mm and Weight 380 g ... too big to make a phone-call How will I do to hol... moreThere are things called bluetooth headsfree headset or corded handsfree headset. People even with small phone are using the above accessories. Why too big to make a phone call? my office phone is way bigger than that. can u use the front camera? do you guys think the cell phone will replace hand held for gaming? i like this phone. because it has 7inches LCD. but is not SAMOLED,no 5.1 dolby sorround,camera desegrade down to 3.15MP. and the price of 16GB version is $1000usd is so expensive. i thnk ill go to buy samsung galaxy beam projector it has 100% spec and features than galaxy tab. the only impressive on this phone is 7inches LCD. And nothng other impressive features. Amazon Germany want €799 for a 16GB Tab. That's even more than the already waaaaay overpriced iPhad. charley, 07 Sep 2010i think thats a pretty goood price,the ipad is much more and isnt as good looking as the galaxy tab.Actually, and equivalently specified iPad would cost just £529. Simply, An Answer to Apple Ipad. And its much better than that. Anonymous, 07 Sep 2010Pricing has been announced, in the UK a 16GB Tab will cost you £680 ($1000 USD)! EPIC... morei think thats a pretty goood price,the ipad is much more and isnt as good looking as the galaxy tab. thinks that its a good looking piece of kit,more affordable than the ipad looks nice aswell. 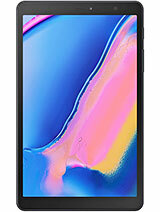 Pricing has been announced, in the UK a 16GB Tab will cost you £680 ($1000 USD)! Yeyuno's Club, 07 Sep 2010190 x 120 x 12 mm and Weight 380 g ... too big to make a phone-call How will I do to hol... moreI'm agree with you because I would like purchase a smartphone or maybe this item but not both. So I prefer to purchase a smartphone running by Android 2.2, it's more practical and useful. How will I do to hold this device to make a call-phone ?? How will I do to make a picture ?? How will I do to keeping on my pocket and answering a phone-call ?? Anonymous, 03 Jun 2010This is not a dedicated mobile phones dudes, this is a MID device with telephony option. It's ... moreAnd we all know that the Dell Streak is selling MILLIONS (right?) Come on! Wake up. Most people do not want a phone that is this big. No one will buy this. Who will want a 7" phone!? Anonymous, 06 Sep 2010that's what they said about the iphone. and look at it now, there's still no phone who killed ... moreWell, witheverything you said you are being a fanboy. Apple did start some trends yes, but not all of it. Also like mentioned Apple did not create the capacitive touch screen. It may be true that Apple sped things up on a few thing, but that at the most is it. Also, many many phones have come out that are better then the iphone there are just to many people that are crazy for it for the name but as far as advanced technology and better working phones there has always been phones out there for every iphone generation that were way better. The thing didnt even record video until 3gs! If a company only comes out with one phone every so often then they should have the easiest time ever over all companies to have the most advanced cutting edge technology and until doing a better job with the i4 aftering only having three phones they never even came close. It was all just because it said apple on it. The iphone itself was an lg copy. And it used the capacitive screen samsung had and uses samsung cpu's. With the demand of the latest technology people would always be wanting a better faster, more touch friendly, and some more app filled phone. There you go, Apple extremely sped up the app fetish. Thats the most they did. 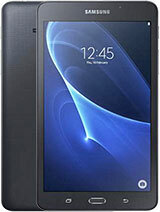 And there has been many tablets befoere the ipad and a lot are better just like the samsung. As far as popularity apple will always be high on the pedistool but in reality there has always been and always will be something not theirs in it, something copied, and somethng way more advanced.